Park Slope Medical Office, PC (New York) - Book Appointment Online! We are a caring and dedicated physician group to take care of all your medical needs. Dr Katapadi is a board certified female internist who is extremely conscientous and available for all your medical problems like diabetes, hypertension, asthma and routine physicals. Dr Rau has been in practice over 25 years with an excellent reputation in General and Vascular surgery. 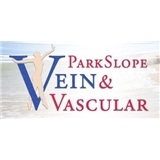 He concentrates on patients with vein disorders and is an expert in sclerotherapy and laser vein procedures.His other major interests include hernias, gallbladder surgery and poor circulation and dialysis patients who need AV Fistula surgery . Office is wild and I hated being in there but the doctor was nice enough and at this point I can't say I don't trust him!